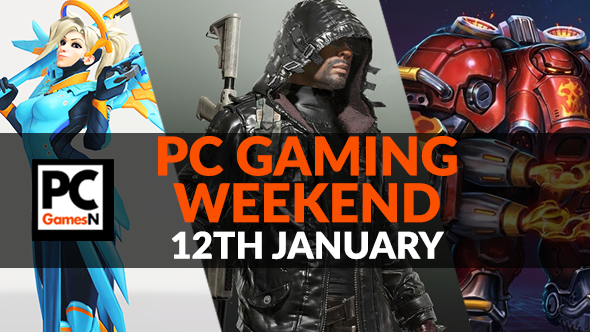 Your PC gaming weekend: get a free Overwatch skin, try new PUBG outfits, win a copy of They Are Billions, and more! Got the January blues? Fret not, for we are here to cheer you up with another round of recommended PC gaming. This weekend you can earn yourself some new skins for the most popular PC games at the mo, there are plenty of good games going cheap, and you can even remix one of the most popular MMOs of all time. Let’s crack on! Win a copy of popular zombie strategy game They Are Billions – we have ten Steam keys! They Are Billions is one of the latest Early Access games to have blown up. And you can see why – it’s all about constructing settlements in order to protect the last few humans alive from the unending zombie hordes coming to feast on your citizens’ guts. What started out as an Owen Wilson mod for World of Warcraft has now branched out to an unprecedented level. It lets you change many sounds in the MMORPG to whatever you want. Chicken clucks, rib cages breaking, a crisp packet in the wind – just some ideas to get you going. Who doesn’t love a new Overwatch skin? You can net yourself one by signing up to the Overwatch League newsletter, as that gives you 100 tokens – enough to buy a new skin. It’s getting hot in here but, please, do not take off all your clothes. Instead, keep them on and download the latest update for Heroes of the Storm. That will give you access to Blaze, the new fiery hero. Bring the heat. Two new loot crates have been added to PlayerUnknown’s Battlegrounds. Manage to get a hold of them and you can dress your virtual self as a biker or a desperado. Won’t help you avoid a bullet coming for your head, though – at least you’ll look good as you die. Overwatch League has officially started, meaning you can watch the world’s teams duke it out live on Twitch. When not playing games why not watch other play them, eh? If you want to know about the teams playing this year then you can check out our overviews of them here. We have seen some impressive Planet Coaster creations over the past year but nothing quite like this. 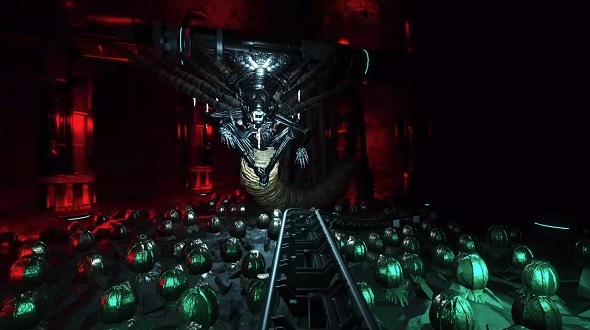 One player has managed to construct a rollercoaster that somehow condenses the entire Aliens film. Civilization VI is a good game. It is a game capable of sucking hours of your life away at a time. Now you can get it for $12. A low price. And all you have to do is pay for the next Humble Monthly and you will receive it in February. Bargain. Here we have the PC gaming equivalent of Instagram. Nvidia’s GeForce Experience has been updated so you can apply post-processing filters to your games, giving them a new look – you can easily tweakcolour balance, depth of field, anti-aliasing, vignettes, and more. The Humble Winter Sale is now on until January 25 with a selection of indie and triple-A titles going for a small price. As well as the three listed above, Fallout 4, Hollow Knight, A Hat in Time, and GTA V are also available, and lots more.